Our Unofficial-Official Language: Unilingualism in the U.S.
Like most mothers, mine claims I was something of a bright, eager and intuitive child. I apparently had the ability to speak and ask her a multitude of questions when I was one year old, still unable to fully walk. With the desire to reminisce about our earlier life together, she would pop in home videos of me in my infantile years, and I was indeed constantly babbling curious baby phrases… in Mandarin Chinese. Despite the many hardships of my younger years sans English fluency — almost being sent to speech classes in elementary school and enduring the taunts of my more eloquent grade school counterparts — I cling on to what I remember of my parent’s native language, hoping to never completely forget it. However, a three-week trip in 2005 to every important corner of China taunted me more than the kids back in kindergarten ever did. I was instantly dubbed a foreigner by not only relatives and family friends, but also every street vendor and stranger I encountered. I remember my parents explicitly telling my sisters and me to not utter a word while sitting in a long taxicab ride that would have tripled in price had any of us attempted to speak in Chinese. Again, I was in an unfamiliar and frightening world in which I could not fully communicate what I desired. On the other hand, aside from my Chinese-American friends, I personally know of few Americans who are able to or aspire to speak Chinese. According to The New York Times’ 2010 article, “China on Path to Become Second-Largest Economy,” China’s economy rose by 10.7 percent in the fourth quarter compared with a year ago, and is progressing forward as other nations are undergoing global recession. Thus, considering China’s skyrocketing economy and global importance in which future businessmen among others will interact, it is odd that so few people I know choose to pursue learning it. Despite my belief that few people are willing to learn Chinese, The New York Times article “Foreign Languages Fade in Class — Except Chinese,” shows otherwise. While thousands of public schools stopped teaching foreign languages in the last decade — a very negative trend — many schools in the U.S. are now offering Chinese. I’m not here to advocate that the United States replace its unofficial-official national language with Chinese. However, I am stating that America, or at least the America with which I am familiar, is suffering a tragic loss of languages in general. The influx of Chinese classes offered is merely a start to what could solve our country’s linguistical problems, but the deterioration of foreign language classes in general definitely does not help. There is actually no national language of the United States. Contrary to English-only supporters, I believe that this is not necessarily a bad thing. It allows for individuals to maintain their native languages, especially if they reside in small communities, say Hispanic neighborhoods or Chinatown. This diversity and cultural myriad is the basis and underlying foundation of America and should be preserved. It is also faintly present in much of our daily life, such as with the foods we eat, which are never really “American” but some form of Americanized ethnic surprise. This ‘ethnic surprise’ is rarely depicted in how people communicate in actuality and the American media. English, and English alone, seems to be the way to go. 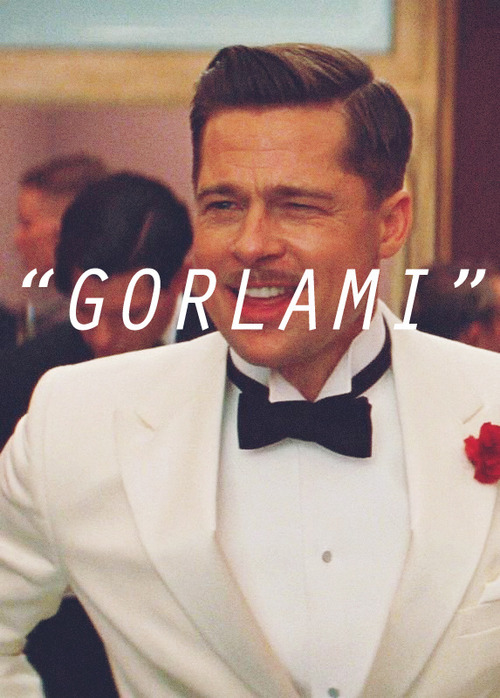 One of my favorite Quentin Tarantino films Inglourious Basterds portrays this with Lieutenant Aldo, the simple and unilingual American who attempts to speak Italian at some point, but sounds less than articulate. According to a poll conducted by the Rasmussen Reports in 2009, 84% of Americans say English should be the national language of the United States. While I do not support or refute this, I fully believe that foreign languages should not be completely lost amid the English language, whether or not it becomes the national language of our country. The two to four years of high school Spanish, French, German or Latin required of American students is underwhelming compared to the language requirements of other countries. The 2000 study (conducted by the Center for Applied Linguistics) highlighted in this article compares the education systems of 19 countries, focusing on foreign language instruction. Among these countries are Australia, Austria, Brazil, Canada, Denmark, Italy, Finland and Germany. Of the 19 countries in the study, the United States offers the latest start in foreign language education. While the starting age for children in the United States to learn Spanish (the primary foreign language learned in our country) is 14 years old, the average for the other countries is around age eight. Furthermore, a few of the countries, such as Australia and Austria, offer foreign language education to students as young as six years old. So while my Mandarin is currently subpar, I am thankful I at least retained enough of it to be able to loosely communicate with others who can speak the language. I hope to build upon these skills or take classes to reach the level of fluency I evidently possessed as a tot. I realize I was lucky to be exposed to a foreign language at a very early age — a luxury many U.S. children do not have, but something that is commonplace with other children around the world.